If you’re running older IBM mainframes in-house, give us a call to explore your outsourcing options. We will advise you in your search for a provider that will provide better or equal performance, while cutting the employee, energy, and maintenance costs required to maintain your data center. 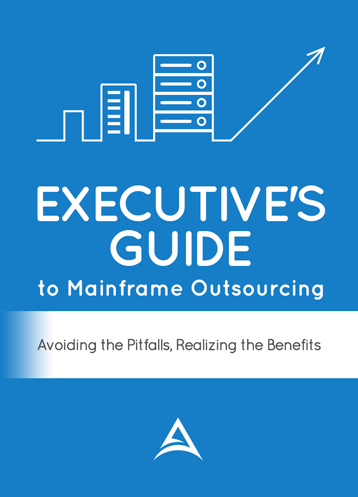 Read our case studies and learn about the mainframe outsourcing consulting we’ve provided to our clients. You can also learn more about our mainframe benchmarking process, and whether you should outsource your IT infrastructure. We provide mainframe outsourcing consulting to help your business or organization update and outsource applications that run on any of the following IBM operating systems. The following links will bring you to Wikipedia.